If you want to contact us about any use of personal data, please email info@eaheli.com. Elemental Adventure Ltd is incorporated in England (company registration number 4150658). Elemental Adventure was founded by in 1999 and is the product of a passion for skiing and adventure in beautiful, remote places, untouched by the modern world. We act as an agent for established heli-ski operations. We work in conjunction with established operations but with our own guides and programmes tailored to our guests. 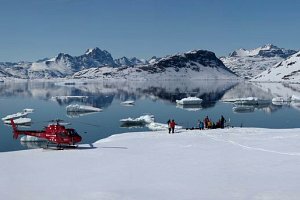 We act as an operator where we will contract directly with helicopter companies and local suppliers and bring our own guides. From individuals who participate in or are interested in, participating in the trips we arrange. Individuals representing partners that we work with. Certain information from users of our website, as described in Section 8. Information about your computer and about your visits to and use of this website (including your IP address, geographical location, browser type and version, operating system, referral source, length of visit, page views and website navigation paths). Information that you provide when completing a booking form. Information that you provide to us when subscribing to our email newsletters (including your name and email address). Information that you provide to us when using our website, or that is generated in the course of the use of those services (including the timing, frequency and pattern of service use). Send you our email newsletter, if you have requested it (you can unsubscribe at any time). The most common use of personal information is in the administration of a participant’s upcoming/ongoing trip. You expressly agree to the transfers of personal information described above. You are entitled to view, amend, or delete the personal information that we hold. Email your request to us at info@eaheli.com. You acknowledge that the transmission of information over the internet is inherently insecure, and we cannot guarantee the security of data sent over the internet. However, we will take all reasonable technical and organisational precautions to prevent the loss, misuse or alteration of your personal information. We may use your information to send you emails, for example, with newsletters and invitations to events, and if you do not wish to receive these kinds of communications, you can opt out of our mailing list. If you are a user of our website and you want to delete any cookies already on your computer, please refer to the help and support area on your internet browser for instructions on how to locate the file or directory that stores cookies. You can block cookies by activating the setting on your internet browser that allows you to refuse the setting of all or some cookies. We retain information we collect for as long as is reasonably necessary to comply with the purposes set out in Section 4.
object to the use of information we hold about you, including where that information is used for direct marketing purposes. You can exercise these rights by contacting us on info@eaheli.com.